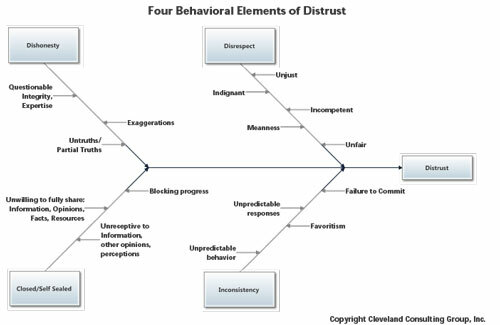 The Behavioral Elements of Trust/Distrust | Cleveland Consulting Group, Inc. There is much written about leadership authenticity and trust. I find that when engaged with clients and colleagues, there is a tendency for both to become part of the same conversation. It is like they are two sides of the same leadership coin. Bill George highlighted the concept of authentic leadership and subsequently it has become a quasi-nefarious concept that includes self-awareness, presence, tolerance, compassion in the form of head and heart, and many other aspects of being a complete human being; and, if you are not authentic in these terms then you ergo are somewhat less human. Though I agree that the goal is for people to be authentic, in particular, authentic leaders, I’ve found that most leaders truly believe they are authentic and struggle to grasp the larger concept that has evolved over the last decade. In basic terms, until they have a major breakthrough in their conscious awareness, there is a blindness to their perceived mean-spirited, less stellar and often untrustworthy behavior. Noteworthy is that underlying the sense of authentic and inauthentic perceptions of leading is whether or not it is believed that the leader can be trusted to behave in ways that are generally beneficial to the individual. D. Harrison McKnight and Norman L. Chervany in Trust and Distrust Definitions: One Bite at a Time, reinforce this concept by indicating that trust is not situational so much as it is person-specific. If it is believed that the leader has created a sense of security (psychological safety) with the employee(s), then a relational trust belief is established. When we bring the conversation back to authenticity we begin to see why trust is directly related to the more recent writings. Without belaboring the subject of authenticity, the focus of this issue is trust, leadership trust, how it is developed and as coaches how we can support our clients to truly understand that the employees are constantly scrutinizing all behavior while formulating their trust beliefs about the leader. Stephen Covey in the Speed of Trust believes that internal consistency depends on our propensity to trust. If we have a high propensity to trust without verifying that it is deserved, we get blind trust (gullibility). If we have high propensity and high verification, then we have smart trust (judgment/discernment). On the other hand if there is low propensity to trust and low verification, there is no trust (indecision). 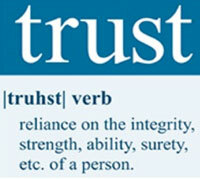 If there is low propensity to trust and high verification there is distrust (suspicion)1. 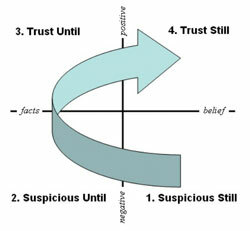 Similar to Covey, Paul English believes there are four stages of trust. The X-axis is our state of functioning from belief and facts. The Y-axis is our attitude toward the person in terms of positive versus negative. Therefore, Stage 1, the lower right, states that if we have negative belief without facts, we will remain suspicious of the other person. If we move to stage 2 and begin to collect facts, we are suspicious until we collect more facts which means we are now receptive to the possibility of developing some trust. 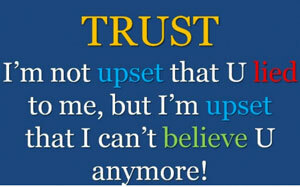 Stage 3 is the beginning to form some trust as the facts are beginning to reshape the perceptions of trust/distrust. Stage 4 reveals that with good facts and a positive belief, we will trust this person until the facts (behavior) move us back into suspicion. to grant decision-making authority (true power to decide without having to look over one's shoulder). actions (good or bad) are consistent enough to be forecasted in a given situation (Predictability). he was perceived as inconsistent as he floated back and forth between coercing, pleading, and demanding his unit perform better. As we reviewed the results, it was clear that the client was overwhelmed both with the 360 results and the new position. Besides feeling pummeled from the feedback, he realized that he was in over his head. He was struggling with the fact that what had worked in the past no longer worked. Most of all he was clearly upset that he was behaviorally perceived with distrust. In order to fully understand what we were looking at, we used a diagram of behaviors that create distrust and correlated it with his feedback. Though disheartening at first glance, it was clear to the client that many of the behaviors on the diagram were being cited in the 360 report. The important paradigm shift for him occurred when I reminded him that the feedback reflected perceptions based on prior and existing behaviors. Perceptions could be changed with concerted efforts to own up to what led to the feedback results and then to begin to change his behavior. His initial reaction was not pleasant; however he realized he had no choice but to try to rectify the situation. We reviewed the diagram in detail, searching for examples that could deepen his understanding of how these behaviors, taken individually might not seem dysfunctional, collectively create a perception of trust and distrust amongst the employees. Based on McKnight & Chervany's research, I introduced a table that described how perceptions of trust and distrust are developed by employees. As we explored the table, he began to realize that the new position had completely ungrounded him, causing panicked responses, and a feeling of being out of control. He was surprised at how different the new job was compared to all his prior experiences. Moreover, he began to see from the table that he used a similar internal process to determine whether or not to trust everyone he was exposed to--direct reports, peers, bosses. Daily interaction and appropriately respectful treatment of employees. Benevolence means one securely believes the leader holds one in positive regard and is motivated to act in one’s interest. Benevolence means one, with some degree of confidence, believes the leader does not hold one in positive regard and is not motivated to act in one’s interest. Fulfillment of interaction and agreement without deviation from day-to-day or person-toperson. Fully present to agreements including explaining when and why deviations occurred. Integrity means one securely believes the leader makes good faith agreements, tells the truth, and fulfills promises. Integrity means that, with some degree of confidence, one believes the leader does not make good faith agreements, does not tell the truth, and does not fulfill promises. Clear self awareness of capacity and capability to support work getting done by and through employees. Competence means one securely believes the leader has the ability or power to do for one what one needs done. Competence means one, with some degree of confidence, believes the leader does not have the ability or power to do for one what one needs done. Instructions/conversations do not change day-to-day or from person-to-person. Predictability means one securely believes the leader’s actions (good or bad) are consistent enough that one can forecast them. Predictability means that, with some degree of confidence, one believes the leader’s actions (good or bad) are not consistent enough that one can forecast them in a given context. Over the course of several sessions, the sting of the 360 report began to diminish and the understanding and application of the four elements of trust/distrust began to develop. He began to replay the events over the last several months, seeing how everyone had been exposed to his "worst" behavior. The repair process was initiated by separating the feedback from each of the three groups...peers, direct reports, and boss. For each group we correlated the feedback to the chart describing the behavioral elements that determined trust and distrust. Patterns began to develop that enabled him to create action plans for each group. The action plans involved meeting with each group, individually where appropriate, to discuss what he learned and the steps that he would be taking to rectify the situation. He named the obvious by noting how his behaviors had led to a general distrust in his concern for them (benevolence), in his overall ability to perform (competency), in his ability to make and honor clear agreements (integrity) and in his being consistent in his words and deeds (predictability). Interestingly, the team listened, asked questions, then stated that if this conversation represented the behavioral changes that he planned to implement, they would work with him. Obviously, the flip side of the statement was that if he did not change to a significant degree, distrust and low performance would continue. Covey supports McKnight and Chervany's research that relationship trust is all about consistent behavior. People judge us on behavior, not intent. People can’t see our heart but they can see our behavior. He cites the following 13 behaviors to support building trust. 1. Talk Straight. Say what is on your mind. Don't hide your agenda. When we talk straight, we tell the truth and leave the right impression. Straight talk needs to be paired with tact. There is no excuse for being so blunt that you hurt feelings and destroy relationships. Tact is a skill that can be learned and when coupled with straight talk, will build Relationship Trust. 2. Demonstrate Respect. The principle behind demonstrating respect is the value of the individual. The behavior is acting appropriate to the person and situation. We should treat people the way we want to be treated. Our actions should show we care. They should be sincere. People will notice if an action is motivated by a lesser reason or an impure value. Respect is demonstrated in the "little" things we do daily. 3. Create Transparency. Tell the truth in a way that can be verified. Transparency is based on principles of honesty, openness, integrity and authenticity. It is based on doing things in the open where all can see. Part of transparency is sharing information. If ever in question, err on the side of disclosure. 4. Right Wrongs. To right a wrong is much more than apologizing. It involves making restitution. Some will justify their wrongful behavior while others will try covering up their misdeeds. Both of these attempts will not only fail to make deposits in trust accounts, but are certain to make substantial withdrawals. 5. Show Loyalty. There are many ways to show loyalty to your employees. Covey focuses on two. First, give credit to others. As a leader you need to give credit to the individuals responsible for success. A leader should never take credit for the hard work of others. Just as bad is the one who gives credit to someone in their presence, but then downplays their contribution to others. Giving credit to others is the right thing to do. It will foster an environment where people are encouraged to be creative and innovative. It will increase trust and have a direct impact on the bottom line. Second, speak about others as if they were present. Some people think it builds relationships to talk about others. The opposite is true. Talking about others behind their back will decrease trust with your current audience. 6. Deliver Results. The fastest way to build is to deliver results. Results give you instant credibility and trust. Delivering results is based on competence. "This behavior grows out of the principles of responsibility, accountability and performance. The opposite of Deliver Results is performing poorly or failing to deliver. The counterfeit is delivering activities instead of results." Delivering results converts the cynics, establishes trust in new relationships, and restores trust that has been lost due to lack of competence. 7. Get Better. In today's ever changing environment one must continue to improve or become obsolete. You cannot learn a skill and ride that one skill for 30 years. You have to constantly be improving. When others see you continually learning and adapting to change, they become more confident in your ability to lead into the future. Be careful not to become a life-long learner that does not produce, or one who sees only one way to improve self and others. Covey suggest two ways to get better. First, seek feedback from those around you. Second, learn from your mistakes. 8. Confront Reality. We cannot close our eyes to the tough realities we face. If we are honest about the difficult issues and are addressing them head-on, people will trust us. We have to avoid the temptation to avoid reality or act as if we are addressing the difficult issues while we are actually evading them. 9. Clarify Expectations. It is important to focus on a shared vision of success up front. This is a preventative measure. When expectations are not clearly defined up front, trust and speed both go down. A lot of time is wasted due to leaders not clearly defining expectations. Failure to clarify expectations leaves people guessing. When results are delivered they fall short and are not valued. 10. Practice Accountability. In a 2002 Golin/Harris poll, "assuming personal responsibility and accountability" was ranked as the second highest factor in building trust. Great leaders build trust by first holding themselves accountable, then holding others accountable. Holding yourself accountable includes taking responsibility for bad results. It is often our natural response to blame others for failure. When we fail, we need to look in the mirror. Holding others accountable allows performers to feel good about the job they are doing. 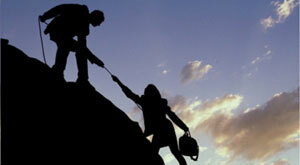 It also increases trust by assuring performers that slackers and poor performers will not pull them down. 11. Listen First. Listening before prescribing, builds trust. Trying to give advice before knowing all the facts is a waste of time and simply not fair. You need to be careful not to learn the mechanics of listening and leave the impression you are listening when you really are not. Remember that communication is more than just words so you will have to listen to nonverbal messages as well. If a person is displaying a high level of emotion, they don't feel understood. Keep listening. Also, a person is not likely to ask for advice until they feel you understand all the pertinent information. Don’t give advice too early. 12. Keep Commitments. Covey refers to this as the "Big Kahuna" of all the trust behaviors. When you make a commitment you build hope. When you keep a commitment you build trust. Be careful when making commitments. Make only the commitments you can keep. Also, don't be vague when making commitments. There are implicit and explicit commitments, and violating either is a huge withdrawal from the trust account. Be aware of the expectations to a commitment i.e. 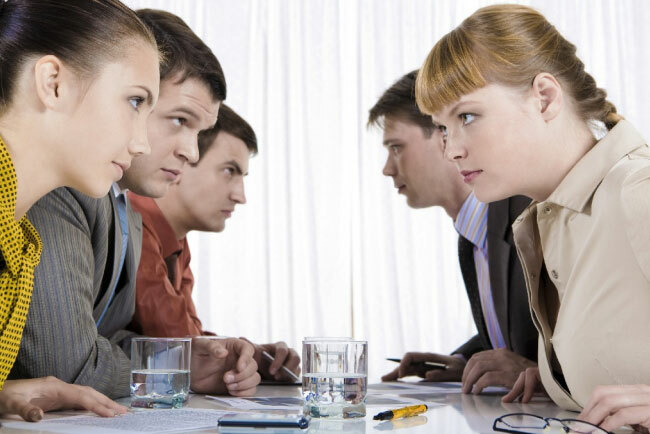 Some companies are strict with internal meeting times and others are more flexible. Also, remember family commitments are just as important if not more so than work commitments. 13. Extend Trust. The other behaviors help you become a trusted leader; this behavior helps you become a trusting leader. We should extend trust to those who have earned it. Be willing to extend trust to those who are still earning it. Be wise in extending trust to those who have not exemplified a character worth trusting. As coaches, it often our task to help the client to make meaning of their behavior. In this case, supporting the client to understand how trust and distrust develops, a new paradigm evolved where he realized that he had choices that would support being trusted. Over time, this team has evolved and the client is still in place. He has learned to always be clear in his commitment to his team, to do what he says he will do, and to support the team in the larger organization (and explain why it was not possible and how he will work to address the issue when he is unable to successfully influence or get necessary resources. He has learned to pause, reflect and choose to ensure consistency in his conversations and actions. On a larger perspective, as coaches we have the capacity to develop authentic leaders by increasing their awareness of how trust and distrust directly evolves from their day-to-day behavior. 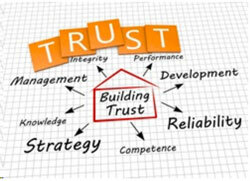 Clients that understand and accept the criteria for how trust is earned tend to grow into great leaders. Others, no matter how much coaching, never develop the self awareness and capacity to develop their leadership presence and therefore employee trust. Generally, this latter group will use positional power to force and coerce results, using pressure and fear to subordinate employees. Many of you know Gen X, Y and Millennials do not respond well to these antiquated leadership styles. As we move forward, leadership styles will fully embrace the behavioral elements of trust and distrust formation. Stephen Covey, The Speed of Trust. 1. McKnight and Chervany refer to this as the Disposition to Trust. It "means the extent to which one displays a consistent tendency to be willing to depend on others across a broad spectrum of situations." P. 38.